Some of the best games are played using a few simple objects and a lot of imagination. Dice, dominoes, and even a basketball hoop are possible to make using origami techniques and a bit of paper! 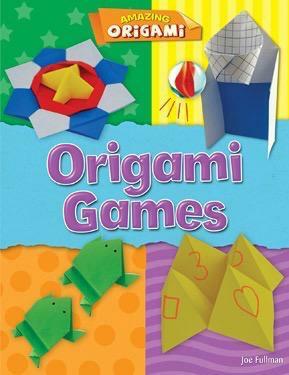 Clear instructions complete with full-color photographs guide readers through the folds and flaps needed to make fun origami games. An introductory section introduces those new to origami to the skills needed to make a spinning top and even a fortune-telling game!